The era of global aircraft tracking got a start January 14 with the successful SpaceX launch of a Falcon 9 rocket carrying new Iridium satellites. Those spacecraft host automatic dependent surveillance-broadcast (ADS-B) receiver payloads the Aireon joint venture will use to track aircraft over oceanic and polar regions where regular surveillance is not now available. SpaceX launched the two-stage rocket just before 10 a.m. Pacific time from Vandenberg Air Force Base, California. It carried the first 10 of 66 active satellites (plus spares) planned for the Iridium Next mobile communications constellation. The Falcon 9 delivered the satellites to low-Earth orbit about one hour after lift-off, Iridium said. After separating from the rocket's upper stage, the first stage successfully returned to a drone landing barge in the Pacific Ocean. The launch marked the return to flight for SpaceX following a September 1 explosion that destroyed a Falcon 9 at Cape Canaveral Air Force Station, Florida, causing the company to ground the fleet. The ongoing investigation of the explosion led SpaceX to postpone the launch from mid-December to early January, when it was delayed again by high winds and rain at the launch site. Iridium Next satellites host ADS-B payloads supplied by Harris Corporation to Aireon, a joint venture of Iridium Communications, Nav Canada and the air navigation service providers (Ansps) of Ireland, Italy and Denmark. Plans call for Nav Canada to acquire a 51 percent controlling interest in Aireon later this year. The payloads will receive ADS-B messages containing position and other information from aircraft and stream the surveillance data to Aireon’s ground segment, which will make it available to Ansps to track aircraft location. Aireon will also provide a free emergency tracking service the Irish Aviation Authority will host and operate; the joint venture announced the service in September 2014, months after the disappearance of Malaysia Airlines Flight 370 in the Indian Ocean. 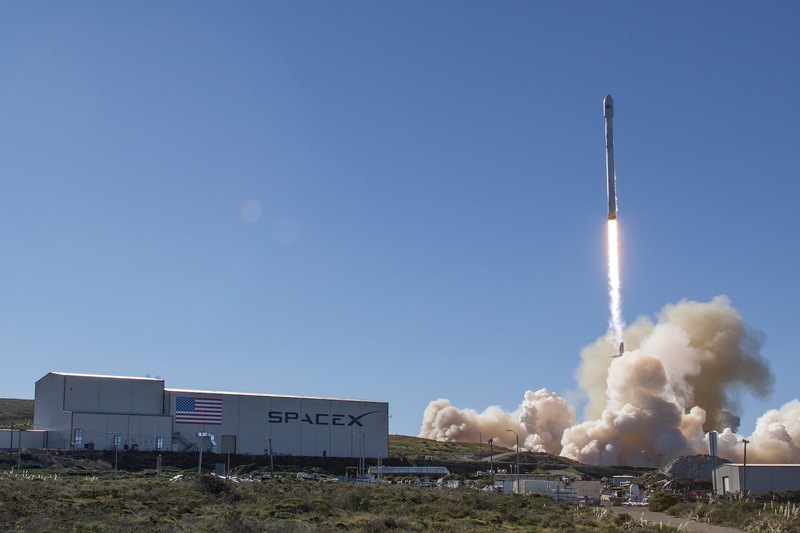 “Today is a landmark moment in history for global air traffic surveillance, air traffic safety and the aviation industry as a whole,” said Aireon CEO Don Thoma following the SpaceX launch. “This successful first launch brings us one step closer to changing the way the world flies by enabling the ability to track aircraft anywhere on the planet." Iridium and SpaceX have partnered to conduct seven launches of 70 Iridium Next satellites from Vandenberg AFB over the next 18 months. Iridium tests the satellites once they reach orbit; it will hand off the ADS-B payloads to Aireon approximately 40 to 60 days after that for verification of on-orbit technical specifications. Aireon will then conduct testing and validation of the space-based surveillance system for about 60 days. Aireon expects the system will begin operating for users in 2018.